That’s probably about the shortest shelf life an editorial has ever had. Unless you count this as an editorial. Which I’m totally going to do, so I feel better about myself. 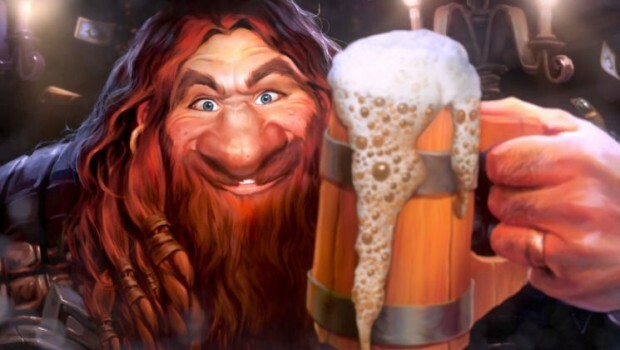 Tavern Brawls will be free initially, with players being rewarded with a pack when they go live; there’s no word on what the cost for playing in a Tavern Brawl will be after this grace period. The announcement also hints at new alternate heroes coming up, for the hunter and mage classes, and you’ll also be able to select different card backs for different decks. DEAD GAME GAMES DEAD $HIT P2W MODEL DIE ! Blizzard? It is not blizzard, it is acctivision/blizzard. Activision is in charge so you could use only “Activision” in the title. And the new mode will be a joke. And the game still does not have permanent squelch option. Pathetic. ヽ༼ຈل͜ຈ༽ﾉ ヽ༼ຈل͜ຈ༽ﾉ ヽ༼ຈل͜ຈ༽ﾉ ヽ༼ຈل͜ຈ༽ﾉ HEY EVERYONE GET IN HEREヽ༼ຈل͜ຈ༽ﾉ ヽ༼ຈل͜ຈ༽ﾉ ヽ༼ຈل͜ຈ༽ﾉ.